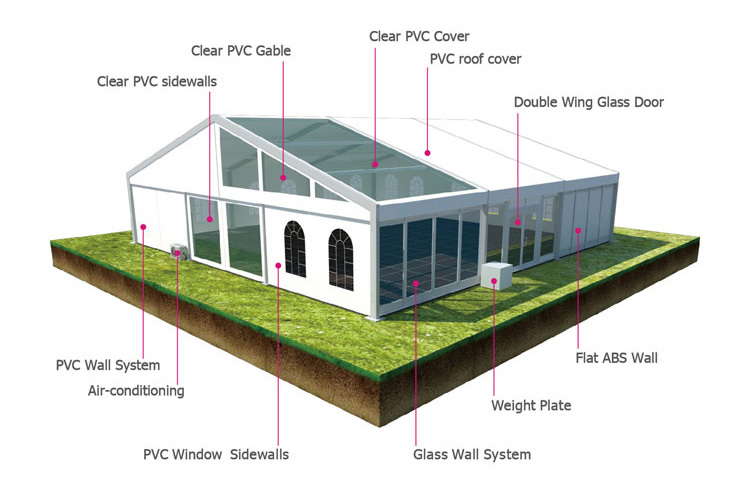 We are clearspan tent expert that you can count on! 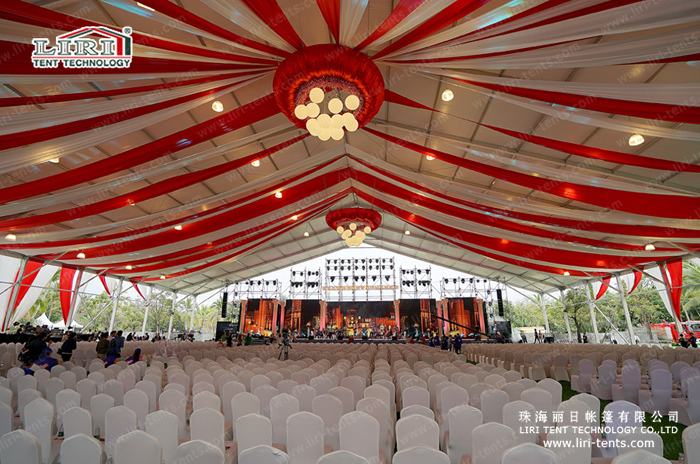 LIRI Tent is the world leading clear span Structures manufacturer of Wedding Marquees, Party Tents, Event Tents, Exhibition Tents, Warehouse Tents, Sports Tents etc. 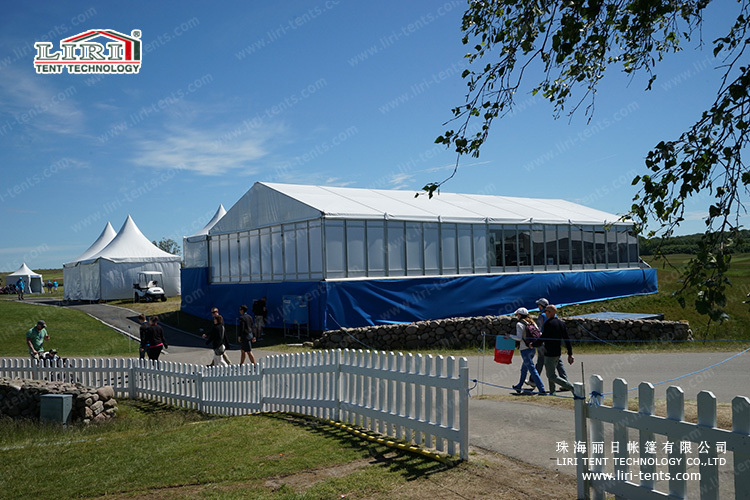 Shelter Tent is real tent expert specializing in clear span structures, including designing, producing, marketing, and offering turnkey solutions. 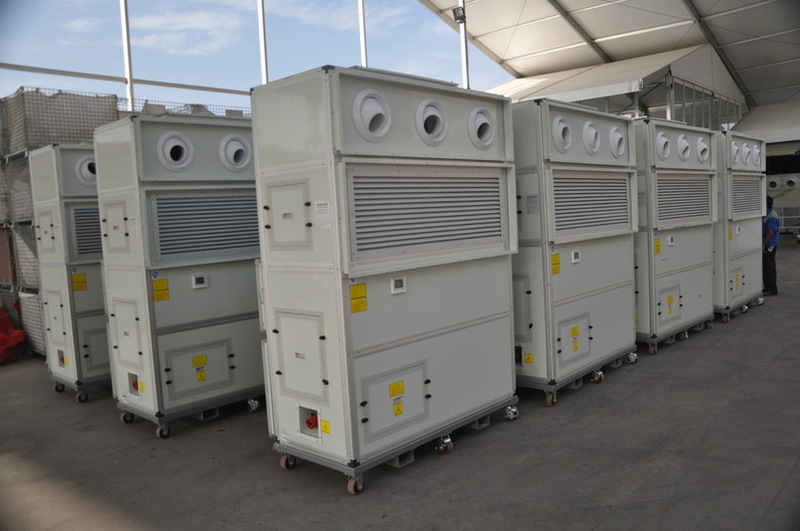 With more than 18 years experience providing temporary structures all over the world, We know structure, and we know how to support you! 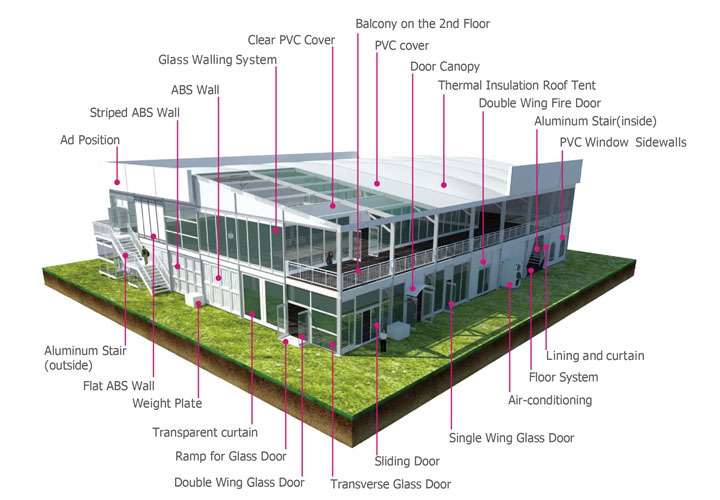 What we supply include not only tents but also tent accessories such as flooring,lining,furniture,tent air conditioner,etc,which gives you one-stop shop service.We gives you a surprise while you give us a chance. 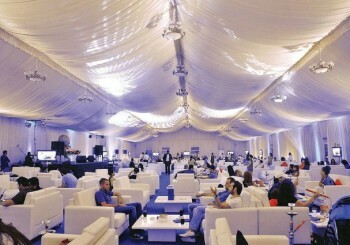 Our marquee tents can increase a unique atmosphere to your wedding. 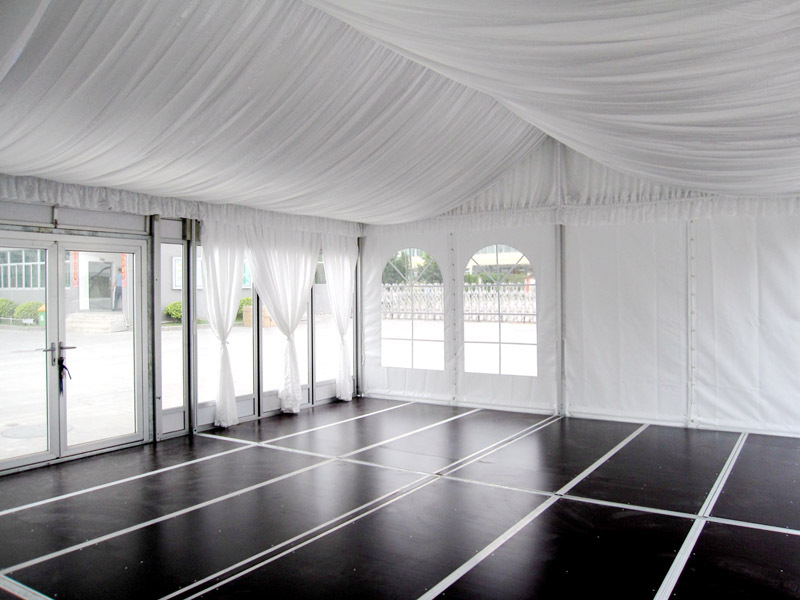 Set up, temporarily, for a single occasion, wedding marquees are a space apart from normal life, embodying the specialness of a wedding. 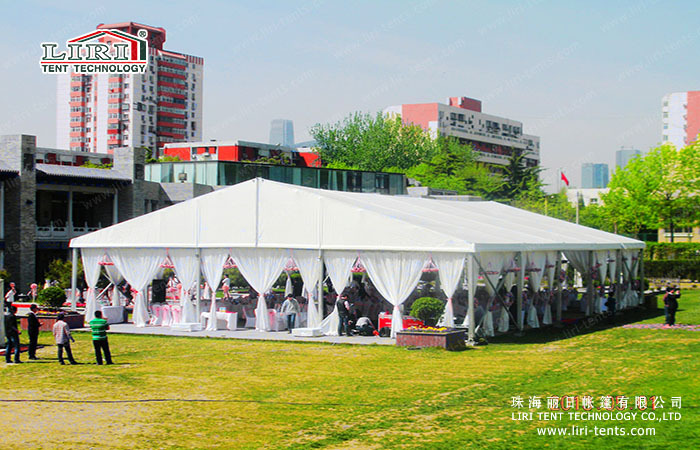 Liri wedding tents are very flexible. 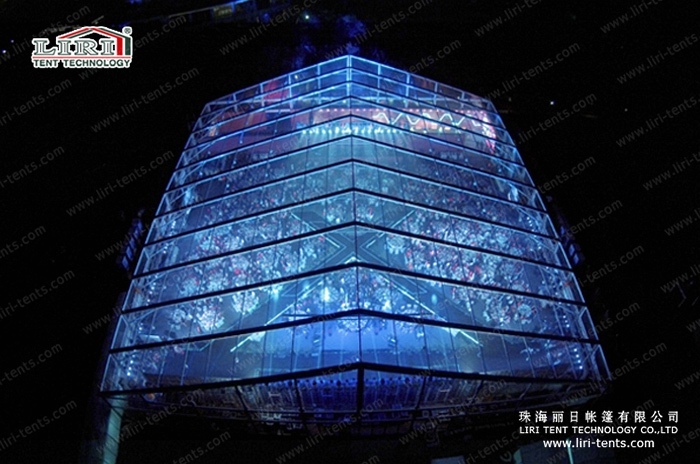 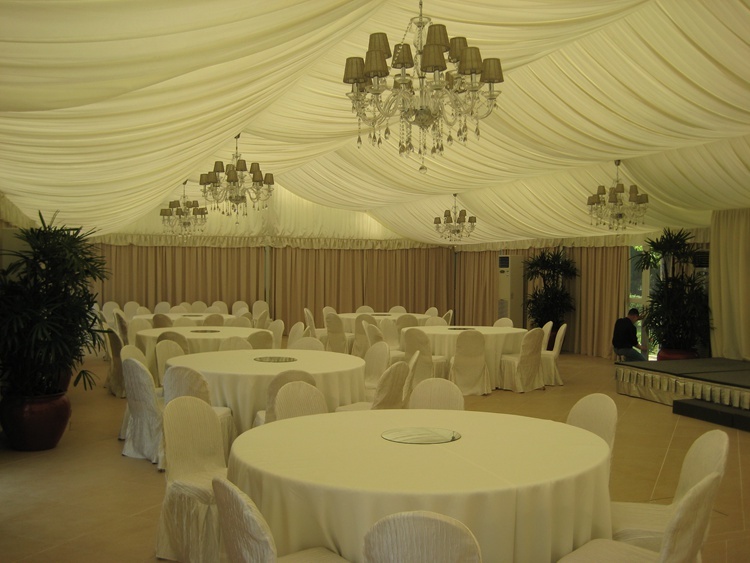 In a Liri wedding marquee tent, anything is possible: long, square, romantic, classical and themed. 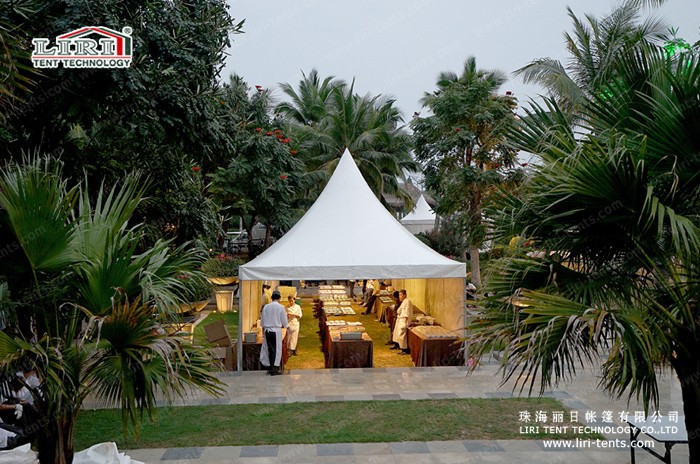 We have a wide range of marquee tent accessories and ancillary equipments to tailor a marquee interior to suit your wedding.